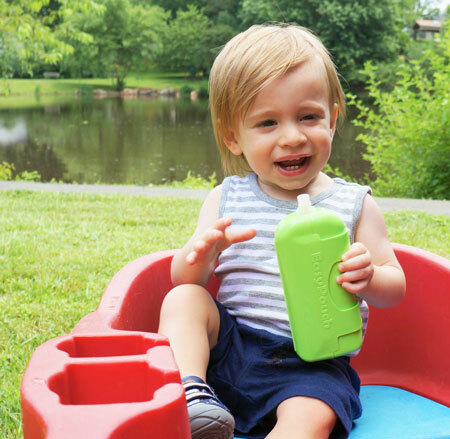 As your baby learns to feed themselves, food pouches are a convenient solution at snack time. But we know a baby squeezing a food pouch can make quite a mess! EasyPouch is first product of its kind to help your child feed themselves independently with food pouches. EasyPouch – Independence will help keep your life a little less messy. Each order comes with two EasyPouches: one for the diaper bag and another in the kitchen for snack time! Let your child feed themselves independently without the worry of a mess. Designed for use with both large and small disposable food pouches. Also compatible with the Infantino Fresh Squeezed food pouch system and the PouchPop Topper.